Somehow it’s been an entire year since I went on my various tea buying excursions in LA. I really dislike how fast time passes as an adult… but that’s life. Yet, since it does pass so swiftly, I try my best not to let the most expensive teas die out before i can get around to reviewing them. For better or worse, Kilogram Tea is one of these vendors that’s so exclusive I could only afford to purchase three at the time. In point of fact, Kilogram is exclusive to the point where they never have the same tea two years running–only retailing current year harvests. As with Eli Tea, their choices tend to be rare and exciting. Unlike Eli however, they aren’t worried about making a profit and their sticker shock is often just laughably exorbitant. To the best of my knowledge, all Kamairicha is produced in Kyushu, but most comes from the more mountainous, cooler Northern Nagasaki, Saga, Oita, Kumamoto or Miyazaki Prefectures. Supposedly Sechibaru in Nagasaki and Ureshino in Saga are two of the most well-respected for their pan-frying processes… or some such trivia. Today’s tea was produced in Kagoshima however, the Southern-most Japanese Prefecture (excluding of course Okinawa that almost never produces tea) known for its flat plains and milder warm and humid climate (giving rise to longer, more productive harvests). As such Kagoshima mostly produces the staple Japanese teas: Sencha, Bancha, Genmaicha, Kukicha, Gyokuro and Matcha. Thus, it’s a very rare treat for a Kagoshima tea farm to spend their efforts on something as novel/impractical as Kamairicha. 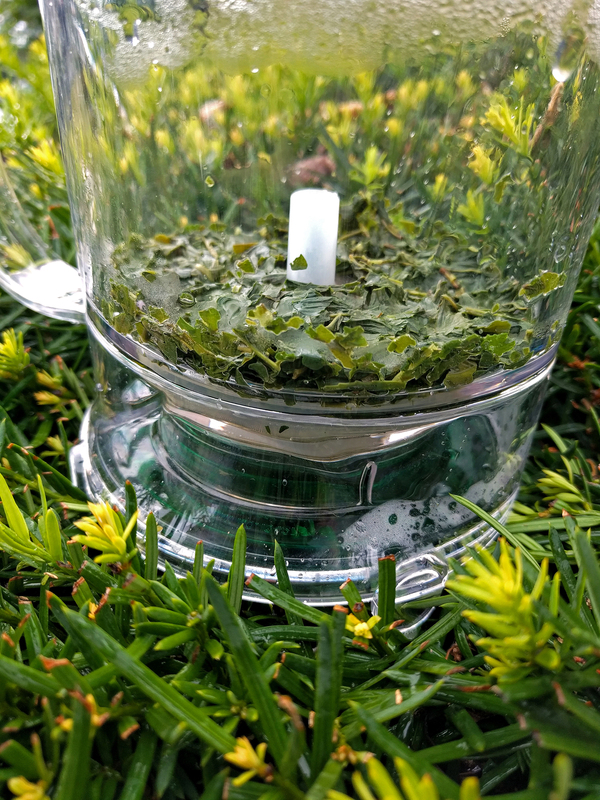 In aroma, Kilogram Kagoshima Kamairicha is a tamped down intoxicating Gyokuro-esque chlorophyll with a hint of lily. Unlike Gyokuro however, Kamairicha doesn’t have a bitter astringency. Instead it’s flavor is sweeter, maybe half-way between a Gyokuro and a Kabusecha: in this case an almond sourdough. Kagoshima Kamairicha has a buttery, almost crepey texture. Finally, Kagoshima Kamairicha has a perfect white-kissed jade liquor reminiscent of a Zhejiang or Anhui Mao Jian. Rarity – uhh… 100? Don’t bother looking. You probably couldn’t even find this in Kyoto. Availability – 97 Very expensive, very temporal. Easily beats out Sencha Saemidori Superior (94), Organic Sencha Fukamushi (94) and Harney & Sons’ Kagoshima (90). It’s basically meaningless to give it a Best in its Class award, so I guess I’ll invent a new one: Best in its Region! Kagoshima Kamairicha (Kilogram) ~ loose leaf B by Jocilyn Mors is licensed under a Creative Commons Attribution-NonCommercial-ShareAlike 4.0 International License. Kagoshima Kamairicha (Kilogram) ~ LL Macro 14x C by Jocilyn Mors is licensed under a Creative Commons Attribution-NonCommercial-ShareAlike 4.0 International License. Kagoshima Kamairicha (Kilogram) ~ spent B by Jocilyn Mors is licensed under a Creative Commons Attribution-NonCommercial-ShareAlike 4.0 International License. Kagoshima Kamairicha (Kilogram) ~ liquor by Jocilyn Mors is licensed under a Creative Commons Attribution-NonCommercial-ShareAlike 4.0 International License. Kagoshima Kamairicha (Kilogram) ~ cube by Jocilyn Mors is licensed under a Creative Commons Attribution-NonCommercial-ShareAlike 4.0 International License.